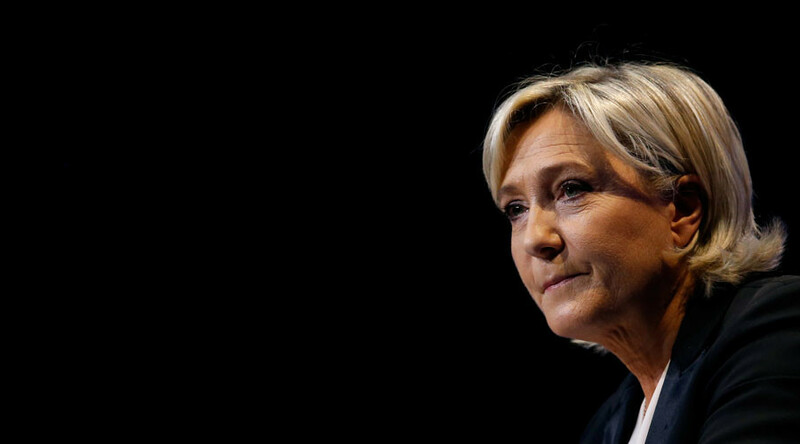 French far-right leader Marine Le Pen is the biggest risk to European financial stability, according to a Credit Suisse guide aimed at helping investors understand the upcoming political uncertainties facing the continent. In the guide, the Swiss bank analyzed possible outcomes in the upcoming Dutch, French and German elections, as well as the UK's triggering of Article 50 to kick-start Brexit, and Greece's debt negotiations. Switzerland's second-biggest bank went on to offer three scenarios for Europe's near future. The third and final scenario, dubbed the “Inferno” option, foresees National Front leader Le Pen being elected president of France. However, the bank’s strategists do not consider this a likely outcome. "Credit Suisse strategists take the view that the French presidential election... poses the most important risk for Europe this year," the bank said in a statement, referring to the upcoming polls. The bank added that while Le Pen faces great challenges to win the second round of the presidential election, "any narrowing of the polls in Le Pen's favor will create a high degree of volatility in the markets." Meanwhile, scenario one, dubbed “Ode to Joy,” saw pro-European, centrist candidates winning the French and German elections after voters take to the polls in April and September, respectively. It also foresees a “benign outcome” in the Netherlands, as voters head to the polls next week, predicting a stable coalition, with far-right politician Geert Wilders and his populist Party for Freedom coming out behind the conservative VVD party. The markets are already “close” to this scenario in terms of pricing, according to Credit Suisse. The second, “more middling,” possibility, dubbed the “Riddle of the Sands” scenario, sees the Greek bailout negotiations “drag on” through the summer without a definitive resolution, and struggles in the Dutch parliament to form a coalition. The central scenario also foresees France's centrist candidate Emmanuel Macron winning the country's presidential election, but struggling to carve out a governing mandate. Credit Suisse said it will regularly update its “Risk Barometer” to reflect levels of systematic risk in European bond and equity markets. It went on to state that it considers it “unlikely” that any country will leave the eurozone, but warned that “institutional safeguards against a euro break-up remain incomplete." The National Front leader has been under the spotlight in recent weeks over a scandal involving the alleged misuse of EU funds, facing claims that two of her staff members were fictitiously employed at the European Parliament as assistants. She has slammed the allegations as a “political plot” against her. Le Pen was summoned by judges over the allegations last week, but says she will not attend proceedings before the end of the current election cycle. A Harris interactive poll released Thursday put Le Pen's opponent, Emmanuel Macron, ahead of the National Front leader for the first time in both election rounds. It predicts that Macron will take 26 percent of the vote in the first round, compared with 25 percent for Le Pen. The numbers represent a setback for Le Pen, who had long been leading the first round. In the likely event that no one wins an outright majority in the April 23 vote, a runoff will take place on May 7. The Harris poll predicts that Macron would take 65 percent of the runoff vote, compared to 35 percent for Le Pen. Also in the running for the country's top office are Francois Fillon (Les Republicains) and Benoit Hamon (Socialists). The election is being seen as largely unpredictable, particularly considering last year’s shock Brexit vote and the victory of Donald Trump in the US presidential race.